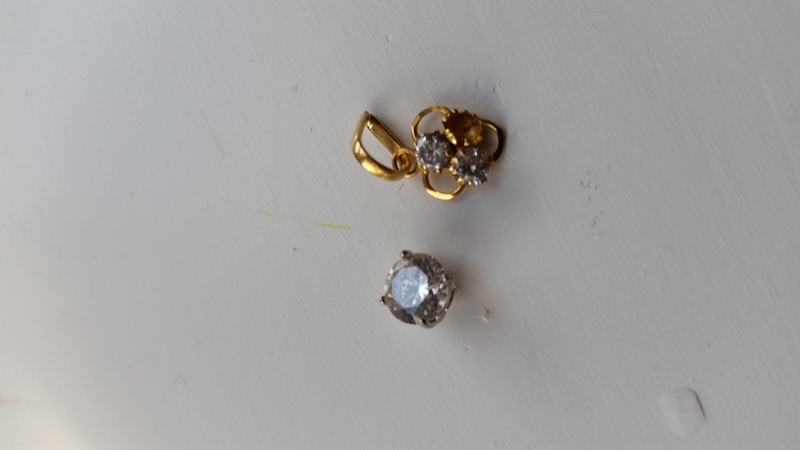 Picked up the silver earing with a fake stone last weekend, and a 23k pendant with 2 tested diamonds, and missing a third. Never seen 23k before, but it's marked and appears to be Indian in origin. 22k acid didn't fully remove the test scratch from the stone. Really yellow! Mx sport. Silver earing was with the new six shoother concentric, and the pendant was with the 7" DD. The concentric was not as sensitive to the small gold.